They took her sanity. Now they are back to take her life. When Kelsey Miller was sixteen, she was kidnapped, beaten, and raped by two men--neither of whom was ever brought to justice. Three years later, the past still haunts her and fear, pain, and anger have taken over her world. Trapped in a cycle of self-harm and depression, she becomes her own worst enemy. One night, her kidnappers return and ask her to make the ultimate sacrifice. This time, the stakes are even higher since her tormentors are not only determined to crush her spirit but her life. 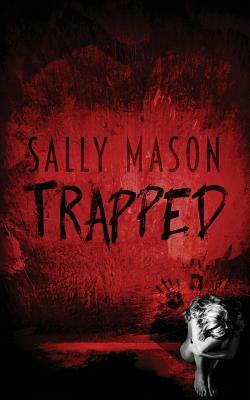 Trapped is a chilling psychological thriller and the first book of the Hide & Seek series that features gripping plot twists and characters you'll grow to love. If you like raw emotions and darker themes, this book is right for you. Pick up a copy of Trapped today to discover this exciting new series that has already enthralled more than four million Wattpad readers.